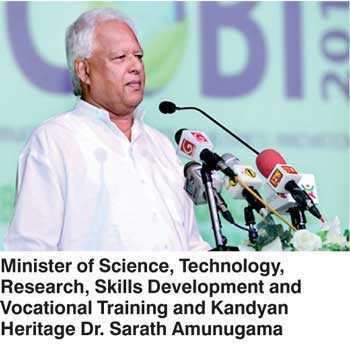 Speaking as the Chief Guest at the inauguration of the International Conference on Business Innovation organised by NSBM, the Green University, Minister of Science, Technology, Research, Skills Development and Vocational Training and Kandyan Heritage Dr. Sarath Amunugama called upon all business schools in the country to examine the operation of all Government institutions in the country and make recommendations to eliminate inefficiency, waste and corruption and thus improve their performance so that the tax paying public will get their money’s worth and the country can be transformed in to a modern forward looking one. Earlier in his speech the Minister while thanking NSBM for organising the conference, complimented it for being perhaps the best business school in the country, at present. The minister pointed out that there is fierce competition in the field of business schools and that a great effort is needed to stay ahead. 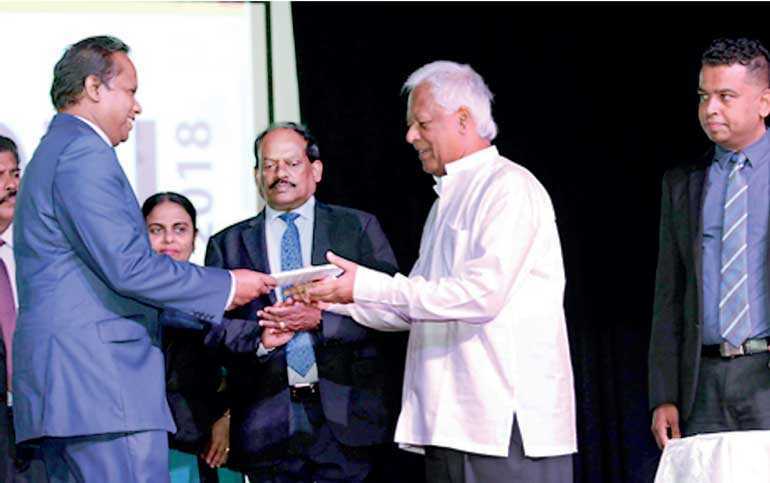 Dr. Amunugama insisted that business schools must impart the latest and best knowledge available to their students and said that this required the continuous sifting of the creation of new knowledge that is going on all the time, throughout the world. The minister referred to the phenomenon of ‘information over-load’ and that it is the duty of all educational institutions, including business schools to have systems going, to sift through this continuous stream of new knowledge, separating out the essential from the non-essential and transfer the best to their students in the teaching-learning process. He said that students must be made partners in this process in order to achieve the best results.